There’s always savings to be had from Jenson USA. Our friends at Jenson USA always have some great sales going and this week is no exception. Check out these smoking deals and get them before they are gone. Whether you’re leaving your stamp on the local crit series or KOM hunting in the mountains, Scott’s Road Premium shoes feature a linear high modulus carbon fiber sole in a 10 ply layup, providing an insanely stiff launching pad that won’t weigh you down. 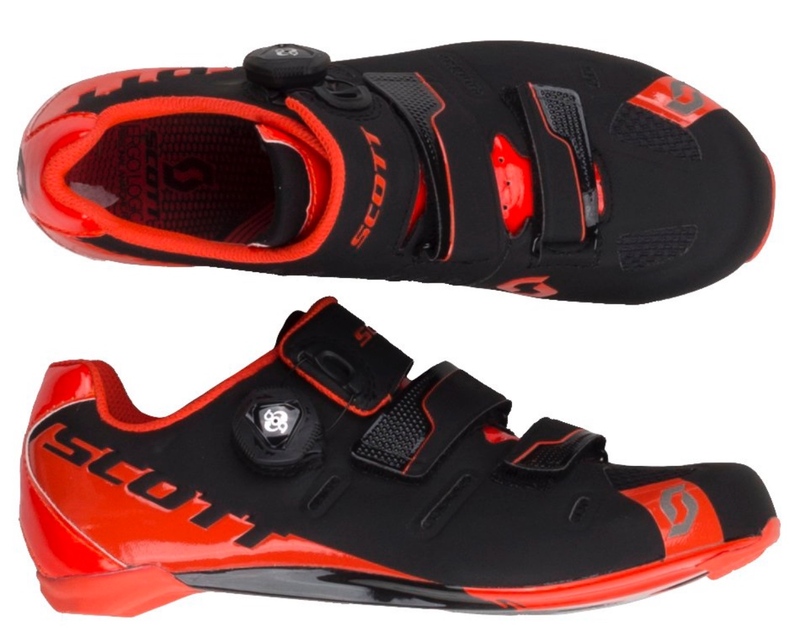 The MTB Premium shoes forgo the conventional ratcheting buckle and instead use an IP1 dial closure system at the top with two lower anatomic fit straps that articulate and conform to the shape of the foot. The result is a straightjacket-like foot hold, without the irritating pressure points. The asymmetrically conforming upper is constructed of microfiber air mesh, allowing air to flow efficiently throughout, while the ErgoLogic insole features an adjustable arch support and Metatarsal button to reduce forefoot numbness and evenly distribute compression. This Arch adjustment permits proper foot alignment and allows adaptability to individual arch height and fit. 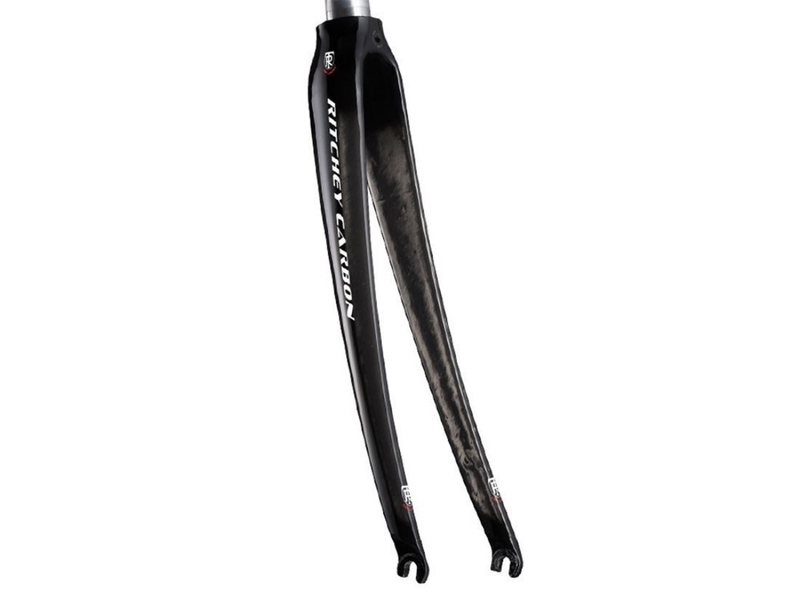 The Ritchey Comp Carbon Road fork is a lightweight yet stiff carbon fork and features an aluminum steerer. Excellent absortion and snappy handling offer an excellent addition to your road rig. One piece carbon monocoque design (WCS & Pro). High Modulus Fiber (HMF) for superior strength. Use of different fiber types based on their specific properties to handle different load types as best as possible in the areas they occur (e.g. side load, torsion, impact…). Fiber orientation has been optimized to absorb and dissipate loads. Smooth internal fiber flow in crown/steerer area to deliver best force transfer from crown to shaft and increased impact strength. 43mm rake. 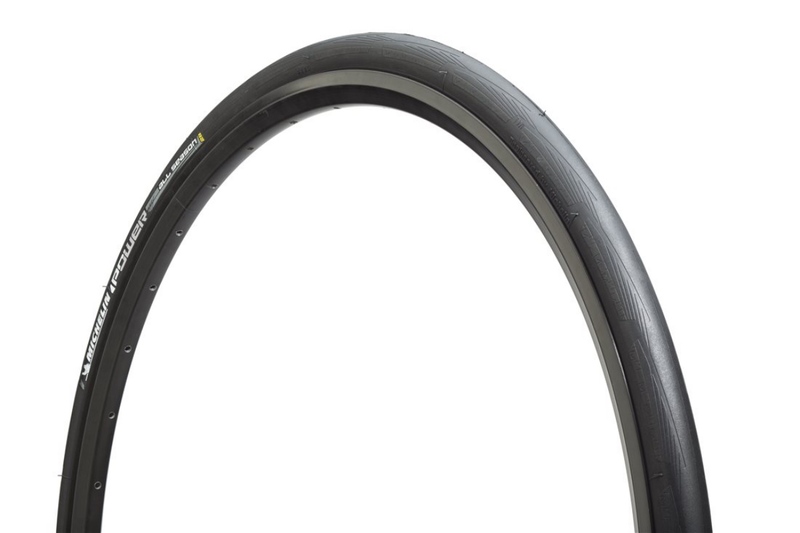 True to its name, a Michelin Power All Season tire with Grip compound rubber, provides excellent control, and low rolling resistance in most riding conditions. The Aramid Protek + belt is an extra belt of protection under the tread and shoulders of the casing and can offer a bit of insurance when you have to get through those sections of the route that the street sweeper never manages to get to. Take a glance at the tread wear indicator now and then and be on top of your bikes needs and enjoy traction and control every ride. Rain or shine. 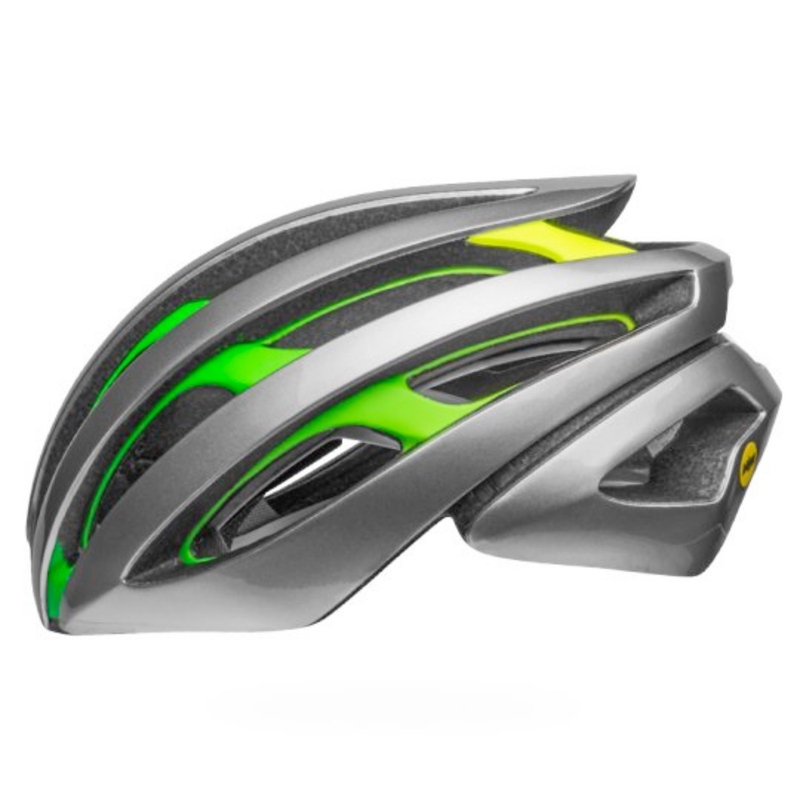 The Z20 is the result of years spent analyzing how helmets fit, optimizing aerodynamics, reviewing test data, gathering real world feedback, and applying Bell’s cumulative knowledge of impact management. Their unique progressive layering energy management system utilizes two separate layers of hard shelled EPS foam in addition to Integrated MIPS—enabling Bell to improve impact performance via multi-density foam and at the same time deliver a more compact overall shape, sleeker design and maximized ventilation. And thanks to a smart combination of the MIPS layer and retention system, the Z20 sets a new standard in fit and comfort. Superb fit is further optimized with the Float Fit Race retention system, featuring height and width adjustable cradles and an intuitive, easy to use tension dial, and then finished off with our comfortable and sweat-wicking X-Static padding. No matter how long, hot or hard the ride is, the Z20’s exacting union of comfort and ventilation will deliver. Clipping in while you’re riding can greatly increase your pedaling power and efficiency. Your foot is always in the optimum pedaling position and will never slip off while you’re clipped in. 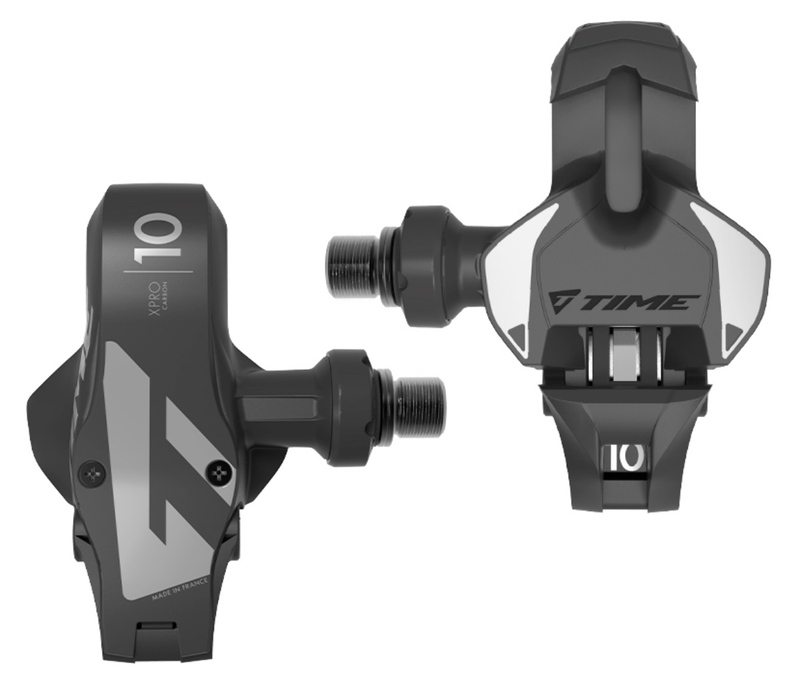 The Time XPRO 10 Pedals are designed for riders who want the ultimate performance out of their pedals. They feature a carbon body and new design that helps create more power transfer and stability. With the iClic system, the pedals have a more positive engagement and are more comfortable. The carbon blade can be adjusted in three positions to optimize the tension so you can clip in and out easier. If you’re looking for pedals that will optimize your performance on the bike, make these your go-to pedals. 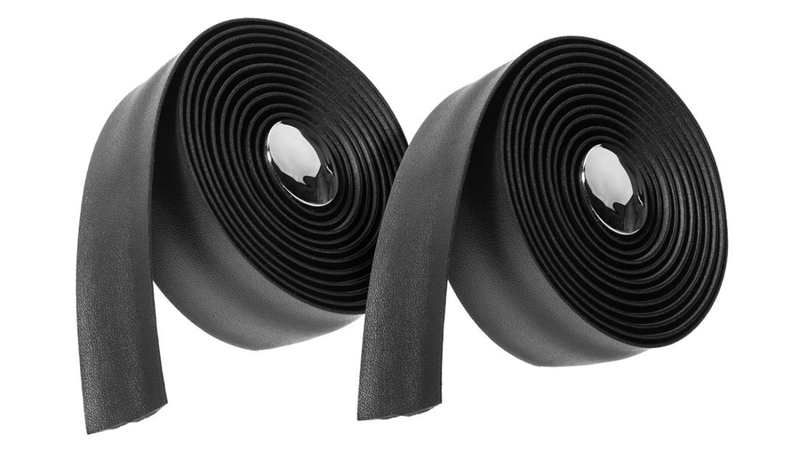 The Velo Polyurethane Bar Tape provides you with great comfort and excellent shock absorbing qualities that will last for thousands of miles. It’s lightweight and durable with a faux leather finish, making it a great addition to just about any bike of choice. Slap it on your roadie or even a gravel grinder and slay away. The Shimano TL-CT12 allows you to easily cut the outer casing and cables easily. You’ll also be able to pinch end caps quickly, which will save your fingers a lot of pain and agony. Wire latch holds handles together when not in use. Comfortable handles offer excellent grip. The Foundation 728 Bike Tool Kit is the perfect kit for jump-starting your own bike tool collection. 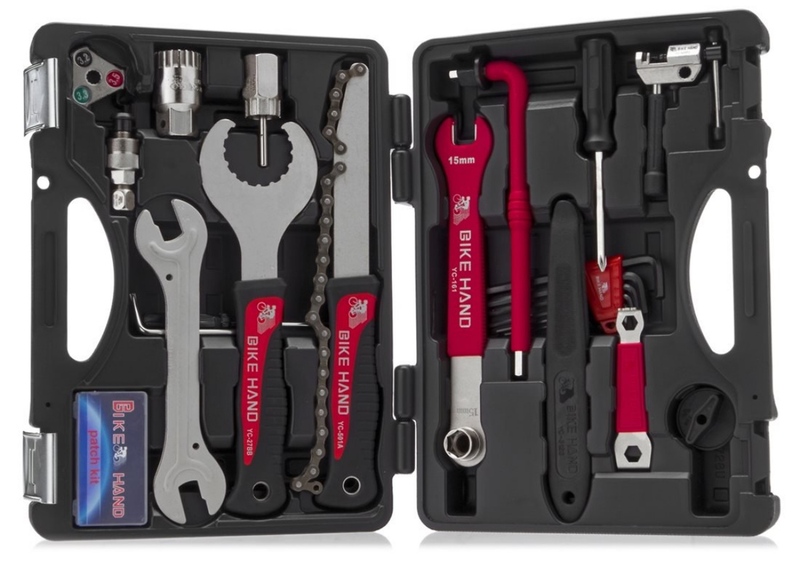 From tire levers to hub cone spanners, the Foundation 728 Bike Tool Kit includes an arrangement of the most commonly used bikes tools for basic upkeep and cleaning. The custom-molded, nearly indestructible polycarbonate carrying case allows convenient storage and easy traveling. Never be without the right tool. 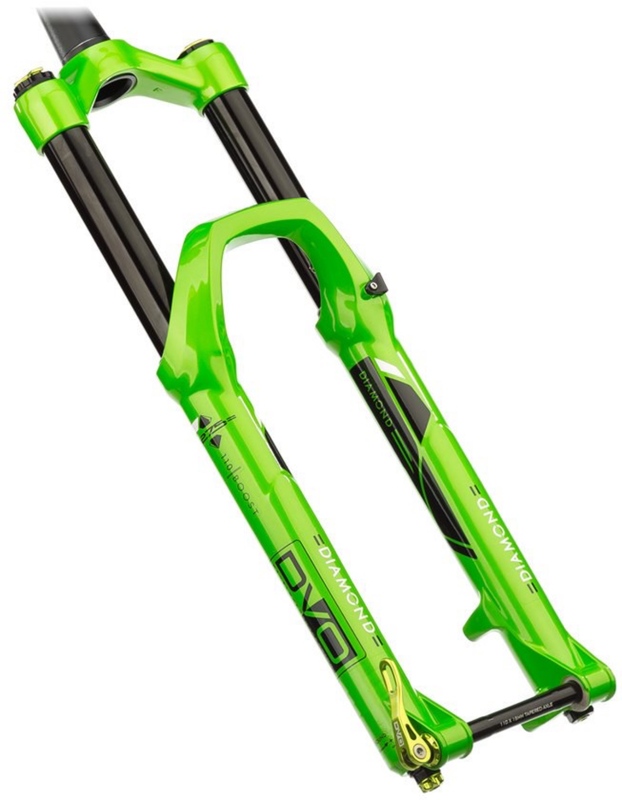 The DVO Diamond Boost 27.5″ Fork is a 160mm gem of a trail fork packed with real DH performance. Coming to the industry with the first compression bladder cartridge system, DVO is able to offer unmatched small bump sensitivity. Both low and high speed compression are easily adjusted with external knobs and so is sag thanks to OTT “Off the Top” technology. DVO’s OTT design offers simple and accurate air spring tuning. For those particularly mucky days, a handsome integrated fender can be easily installed and removed. Raising the bar in the world of trail and enduro forks, the DVO and the Diamond Boost 27.5″ fork may just leave you with a smile on your face and a sparkle in your eye. 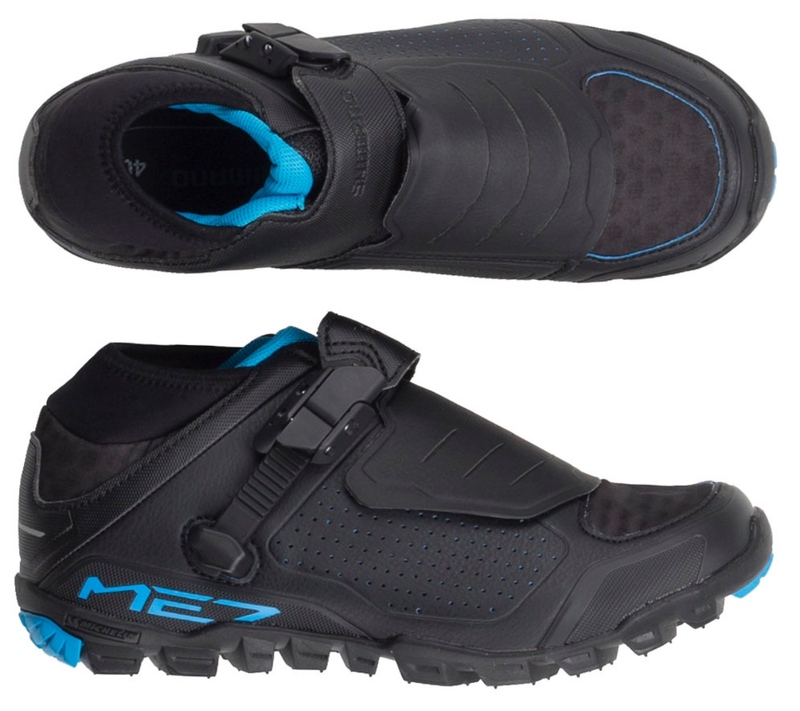 Shimano’s SH-ME7 Shoes combine a lightweight XC frame with durable all mountain protection. They feature a low profile, but still offer ample ankle protection. An elastic cuff allows full motion, but prevents mud from getting in. Reverse mounted buckles and a Cross-X strap keeps them secure on your feet. The insole has extra cushioning to keep them comfortable even on long rides, and the Michelin dual-density soul provides ample traction. 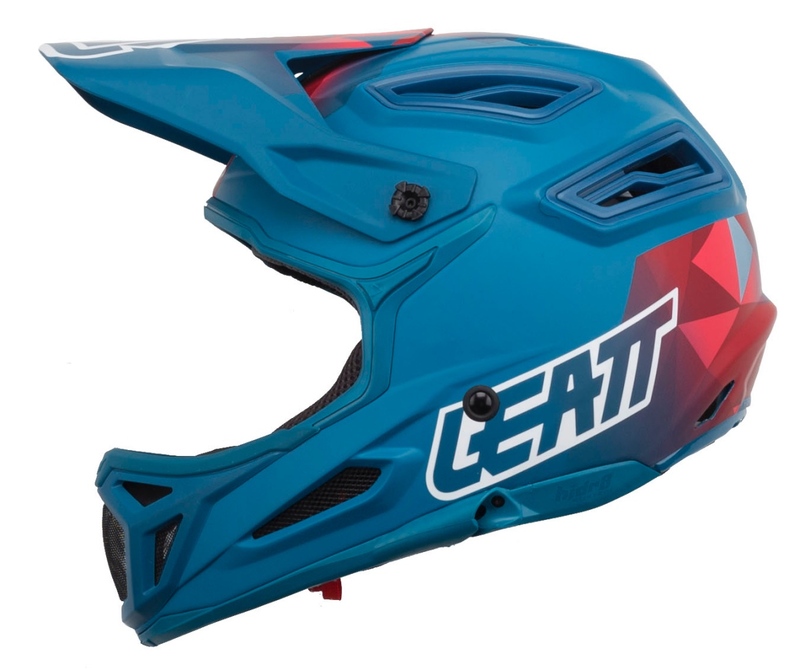 The Leatt DBX 5.0 V26 is the perfect helmet for the downhill or BMX rider who values ultimate protection from rotational and impact energy. The 360° Turbine Technology reduces rotational acceleration and absorbs energy upon impact leaving your head much safer. On top of having a high level of impact protection, the DBX 5.0 V26 also has an ample amount of ventilation that works at high and low speeds. 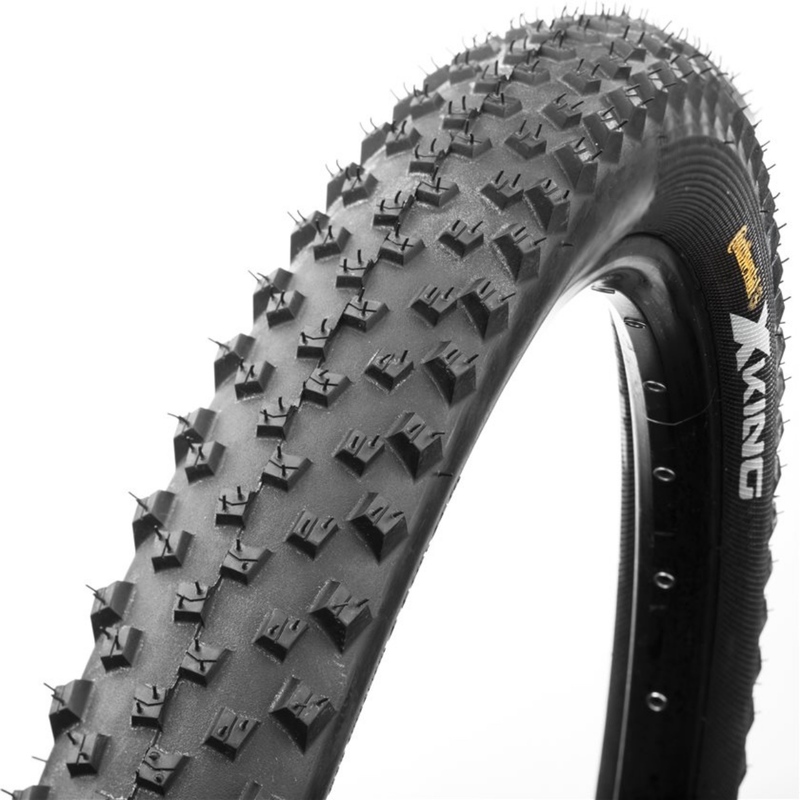 The X- King is a super fast grippy tire. Despite the pronounced studs, the X- King rolls smoothly and very quietly. This light tire has many applications. It can be used as either a front or rear tire in a variety of terrains. The X-King is infused with Continental’s Black Chili Compound, which offers a solid grip and is self-cleaning. The shoulder lugs provide absolute stability during high-speed corners. 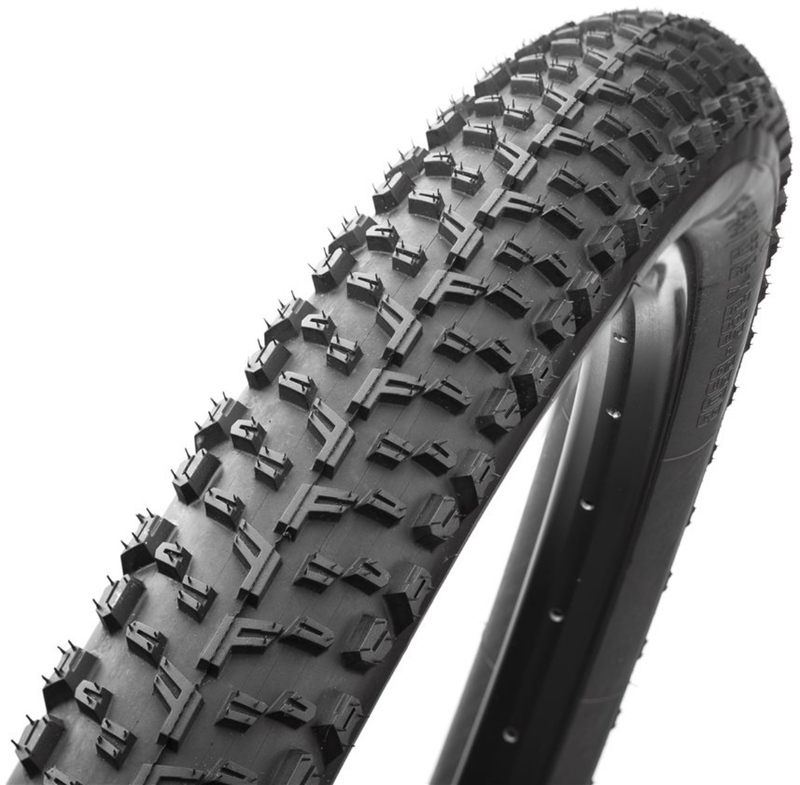 This version of the X-King features two forms of cutting-edge tire technology: Black Chili Compound and ProTection casing. The word Mezcal originally comes from the Aztec word meaning “oven-cooked agave.” Though oven-cooked agave sounds great, the only thing you’ll be cooking with Vittoria’s Mezcal is your competition. With its low center tread and densely spaced knob configuration, the Mezcal is deliberately designed for speed. This doesn’t just mean raw speed on a nose-tugging descent, but also billy goat-like ascending and jet-like cornering. Aside from its specific tread design, much of the Mezcal’s talents are to be attributed to its G+ Isotech Compound. G+Isotech®* is Vittoria’s unique Graphene compound that is gifted with speed (lower rolling resistance), grip, durability and wear resistance. The Time Atac XC 12 Carbon Titan pedals combine an ultra light weight design, excellent dirt and mud shedding, and easy evacuation. The XC 12 Carbon Titan pedals have 5 degrees of angular free as well as 6mm of lateral movement. This amount of movement helps to keep knees comfortable, especially during rigorous rides. 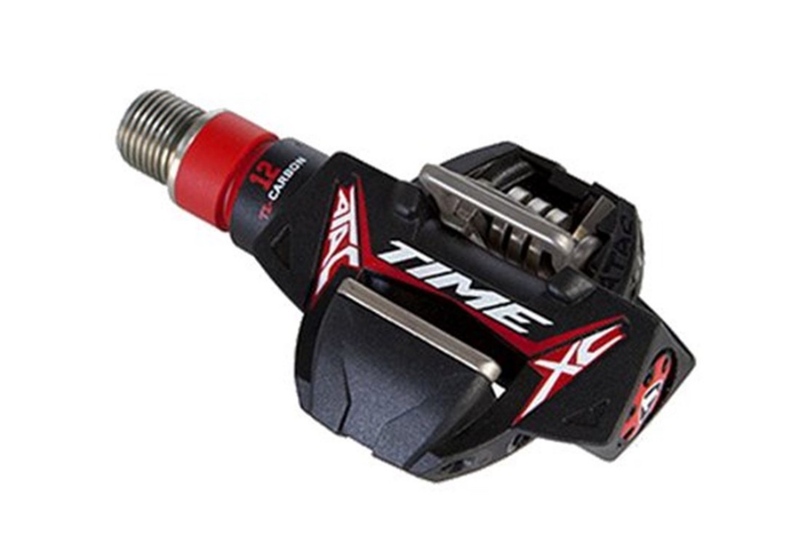 The Titanium shaft makes for a strong pedal while the carbon composite body reduces weight. 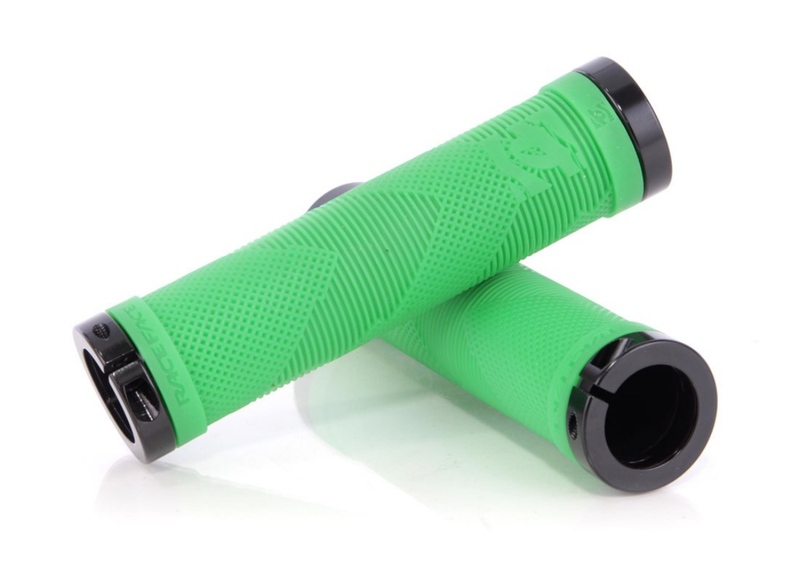 The value of a good set of grips should not be underestimated, it is one of the three important points of contact between you and your bike. Classic waffle and mushroom design for ultimate gripability. Manufactured by ODI for Race Face. Sold as a pair and includes lock on clamps and end caps. The recent progression in bicycle technology can seem rather overwhelming at times, as it seems that standards change on what might be a yearly basis. Just when you thought you finally had a grasp on the latest, greatest bag of tricks, word of a new state of the art component sweeps across the industry like a wildfire. Well here is our fair warning; reading on may cause XCers to lose all feelings of content toward their current suspension fork. The Rockshox RS-1 is one of those game-changing releases that can potentially restore the standards for Cross Country suspension forks. After a ruthless revaluation of material optimization, and every other element that classifies one of the most decorated XC forks in world cup history, the RS-1 ushers in a new cohort approach to XC rider efficiency and capacity. The inverted design is all new to Rockshox and delivers a new level of ride quality that’s simply unachievable through conventional fork designs. The revolutionary chassis design integrates the fork’s steerer tube, crown and legs into a single carbon main frame, while a reimagined interface between hub and dropouts, dubbed Predictive Steering, enable an inverted design that’s light enough for XC racing, yet stiff enough for trail riding. The large 27mm diameter Torque Tube oversize axle creates an unbreakable bond, locking the lowers in place to maximize torsional stiffness and reduce fork twisting. A wider hub flange spacing results in a stronger, more responsive wheel, while the new Maxle Ultimate completes the connection with a tighter, stronger clamping force than you’d get from a quick release. 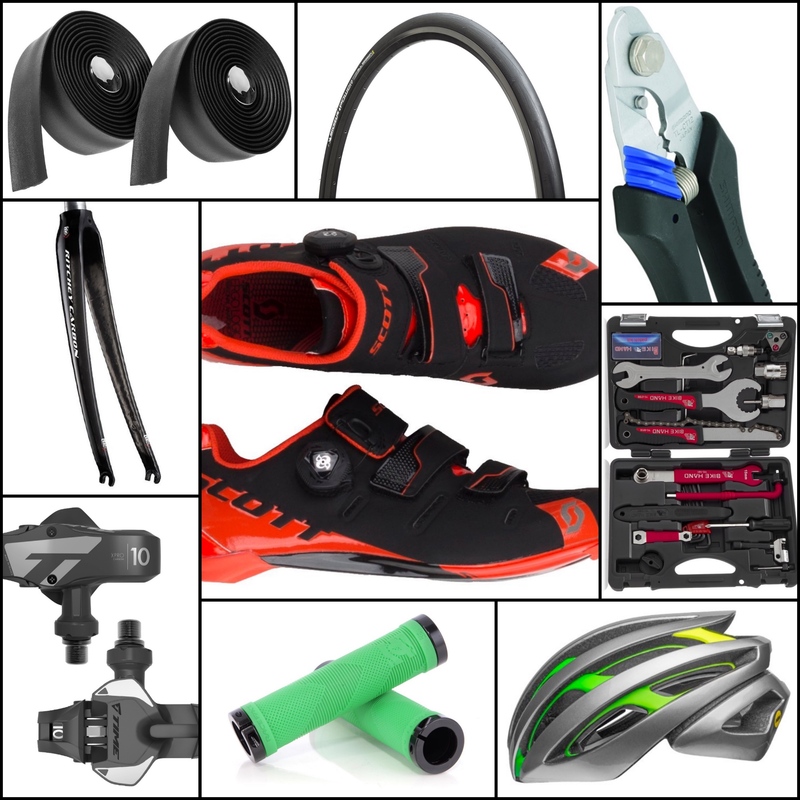 RoadBikeReview is committed to finding, researching, and recommending the best products. We earn commissions from purchases you make using the retail links in our product reviews. Learn more about how this works.